New Jersey is now one step closer to legalizing cannabis following the approval of three cannabis-related measures in a joint session of the Senate and Assembly committees. The central bill would legalize recreational cannabis use in New Jersey and allow the state to regulate and tax the sales of the drug. 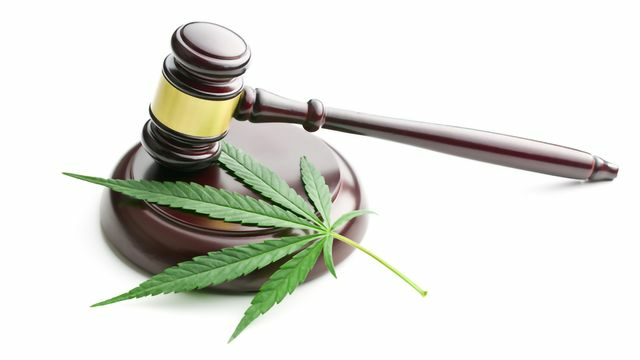 Also on the docket were two other cannabis-related bills: one which would expand the state’s existing medicinal cannabis program, and another that would create an “expedited expungement” system for people with historical non-violent drug offenses. The central adult-use legalization bill, S-2703, or the “New Jersey Marijuana Legalization Act”, was approved 7-4 with two abstentions by those on the Senate budget committee and 7-2 with one abstention by members of the Assembly appropriations committee. The Act would make it legal for people in New Jersey to possess up to 1 ounce of cannabis for personal use, which could be legally consumed either at home or in specially designated zones. Also included in the bill is a clause that would establish a 12 percent state tax rate on cannabis purchases, with municipalities having the option to impose an additional 2 percent on top of the standard tax rate. The medicinal cannabis bill, S-10, proposes raising the cap on amounts of medicinal marijuana that patients can access each month, from 2 ounces to 3 ounces. It would also allow patients in the medical cannabis program to medicate using new forms of edibles, and introduces a reform to the process of obtaining a permit for new medical cannabis dispensaries, manufacturers, and cultivators. The final bill, S-3205, is slightly different to the others as it is not a piece of legislation geared specifically towards changing state attitude to cannabis, however, this bill will have a large impact on those with historical cannabis-related charges on their criminal record. The purpose of the bill is to overhaul the current system that handles expungements by expanding the types of crimes that would become eligible for expungement, including those offenses related to controlled substances such as cannabis. The bill would also reduce the wait time for crimes to become eligible for expungement down to five years, and would introduce a “clean slate” process, which would clear the criminal records of all minor offenses for people who have kept a clean record for the past ten years. The passage of the three bills is an important first step towards ending cannabis prohibition in New Jersey, but the deal is anything but done. Despite the bills passing through the committees with encouraging vote margins, there are significant concerns as to whether the bills will have enough support in the full legislature to be passed. In the most optimistic scenario, New Jersey could see the legalization of recreational cannabis as early as January 2019. The next scheduled voting sessions of both the Senate and the Assembly are set for December 17, and if no major changes are made to the bill then it could easily be presented to the legislature on this date. Senators Stephen Sweeney and Nicholas Scutari, both major supporters of cannabis legalization in the Senate, have declined to comment on the possible timeline of the vote, however they did indicate that they wish to reach an agreement with Governor Phil Murphy before putting the legislation to a full vote. This discussion with Murphy could lead to significant delays, as it is known that the Senators and the Governor do not agree on certain components of the bill as it stands. The current proposed tax rate of 12 percent is one of these components, with Murphy said to prefer a tax rate closer to 25 percent. This higher tax rate is in line with others in Washington, Nevada, and Colorado, which all have effective tax rates of at least 25 percent; a 12 percent tax rate would be the second lowest tax on cannabis products in the U.S., with only Michigan’s 10 percent tax rate being lower. Senator Sweeney has opposed moves to increase the tax, arguing that lower tax rates would allow legal cannabis dispensaries to undercut the prices of black market dealers, thereby assisting an end to the black market cannabis trade. In addition to possible delays over tax disagreements, a separate debate between members of the legislature may see the bills struggle to get passed at all. Several members of the legislature have joined Democratic Senator Ronald L. Rice, the state’s longest-serving black senator and the chair of the New Jersey Black Caucus, in voicing concerns for the treatment of the African-American community in the passage of these bills. Rice fears that a recreational cannabis industry in New Jersey, an industry that is overwhelmingly white, could destabilize black communities. Speaking to the New York Times, Rice gives the example of communities in cities such as Newark, which are already struggling with drug addiction and risk of foreclosures. In his opinion, the opening of retail cannabis stores in these areas could be almost predatory - attracting high-risk youth and producing a new generation of drug users. This position is not shared by the majority of Democrats in state legislature, or even all African-American members. Assemblyman Jamel C. Holley, the chairman of the New Jersey Legislative Black Caucus Foundation, and Senator Sandra B. Cunningham, the Deputy Majority Leader, are among those opposing Rice’s position. In their view, legalizing recreational cannabis and passing the tandem bill which will overhaul criminal expungements would hugely benefit black communities. In New Jersey, on average, black residents are three times more likely to be arrested for cannabis-related offenses than white residents, despite similar usage rates. As a result, many civil rights and civil liberties groups have joined politicians such as Assemblyman Holley and Senator Cunningham in supporting the legalization of cannabis in New Jersey. “When I ride through parts of my district, I see people who are standing outside and standing on the corners for years because 10, 15, 20 years ago they made a mistake and were incarcerated and are still paying for it,” said Senator Cunningham, to the New York Times. It’s clear there is a lot of debate still going on that will concern the feasibility of cannabis legalization in New Jersey, and there is a reasonable chance that the bills will be revised before reaching the full legislature, whether that happens on Dec 17 or sometime in early 2019. Still, the movement of these bills out of committee is a strong signal of intent for the state.